Are you a little tired of the glamsham that 5 star hotels offer? Wouldn’t you prefer something simple yet elegant and memorable? How about getting married right in front of God, in their own house? You guessed it right, we are talking about those majestic temples that will play the perfect host to your wedding rituals! Plus, temples often come with a priest so you need not go out searching for one. We found 8 such temples where you can conduct your destination wedding! Situated in the town of Orccha, Chaturbhuj mandir is dedicated to Lord Vishnu. The temple's exterior is richly ornamented with lotus symbols. It is said that the roof of the towers were gold pleated when it was built originally. 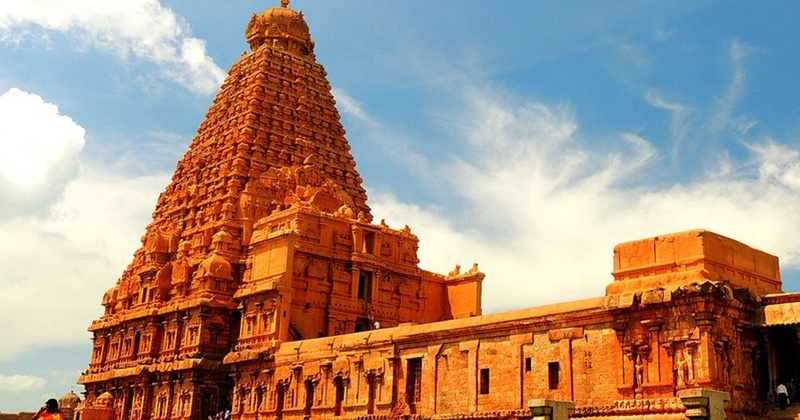 Brihadeeswarar temple is situated in the city of Thanjavur in Tamil Nadu. It is one of the largest South Indian temples. It is completely made out of granite making it look oh so elegant and picturesque! Everyone knows about the beautiful Golden temple of Amritsar. It is the most important spiritual place of the Sikhs. Imagine getting married in the grand Golden Temple which is surrounded by water and serves the best kada prasad! Chinmaya temple is a tranquil temple right in middle of theed lush greens of Sandeepany Sadhanalaya in Mumbai. Amid the hustling and bustling of the city lays a peaceful area in Powai which homes the famous Chinmaya group. Weddings are quite common in Chinmaya temple. Want to get married in the hills? Then Bhoganandishwara temple is the answer for you! Situated on the foot of Nandi Hills, Bhoganandishwara temple is dedicated to Lord Shiva. They have a special altar or mandap for weddings, paying ode to Lord Shiva and Goddess Parvati. The Mahabodhi temple of Bihar is a UNESCO World Heritage Site. It is a blend of Hindu and Buddhist architecture with a hint of Jain architecture. The temple complex includes two large straight-sided shikara towers of the world. The tranquility will get to you! As the name suggests this temple is dedicated to the sun god. It is huge and has several small temples surrounding it. Home to goddess Kali, Dakshineswar temple is very famous in Kolkata. It is a splendid temple built in a typical Bengali style. So where are you planning your wedding at?